I joined Virgin America's frequent flier program today, but I don't seem to be a member of the "Virgin Atlantic Flying Club." Would someone please let me know if these are one-and-the-same, or two separate programs? (Or, for that matter, two separate airlines?) I assumed they were the same thing, but maybe one's a subsidiary of the other, or something like that. Do you need to register for both programs? You all have allowed this community to become a pretty awesome frequent-flyer and credit card-point resource - thepointsguy.com is great, but you can't control what he writes; here, we have the power of experienced travelers, and the kindness of people who care about others - it's a great combo. Virgin America and Virgin Atlantic are - it appears - two different companies operating under the same umbrella. Virginia America's loyalty program is called "Elevate." 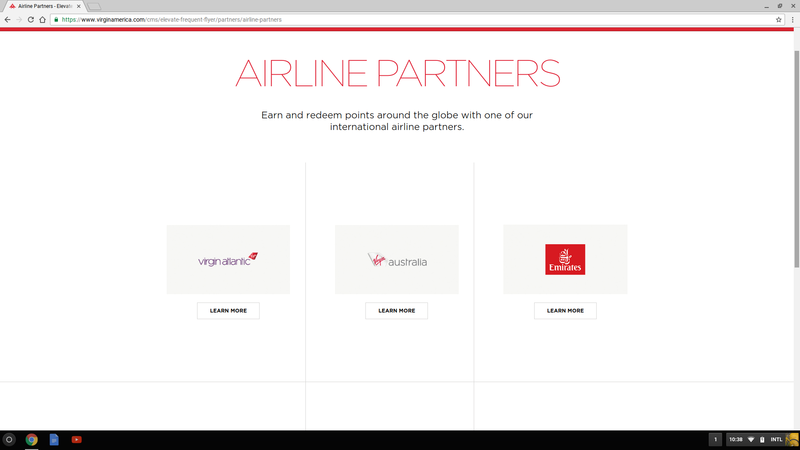 Virgin Atlantic's loyalty program is called "Flying Club." I joined Elevate, and then tried to sign into Flying club unsuccessfully with my Elevate number. 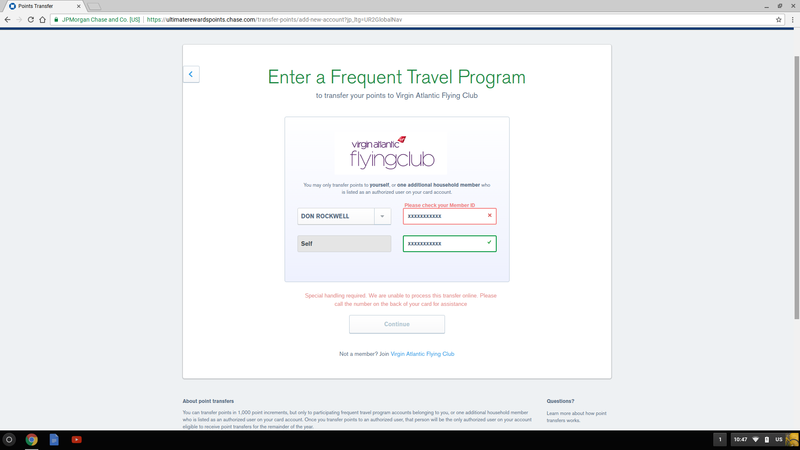 So I then joined Flying Club, using the same email, and got a separate membership number - in other words, they're two separate programs. My ultimate goal here is to transfer some Visa points over to Virgin America, but the Chase Sapphire Reserve Visa appears to partner with Virgin Atlantic Flying Club; not Virgin America Elevate. Now, my task is to see if there's some roundabout way to transfer my Visa points to Virgin Atlantic Flying Club, and use those to get a flight on Virgin America. I don't know if I can do this yet, and I'm not going to make the transfer until I'm sure I can - I'll keep you posted. But, for now, I can at least tell you that these are two separate programs, each with their own separate membership. Okay, there's something very fundamental that I didn't realize before: I thought "Virgin America" was The Big Company, and "Virgin Atlantic" was a smaller, east-coast subsidiary; it's just the opposite: Virgin Atlantic is the larger, international airline (i.e., it crosses the Atlantic - duh! ), and Virgin America flies within the domestic United States - if you go from one U.S. city to another, you'll be on Virgin America; if you go from one U.S. city to somewhere across the Atlantic Ocean, you'll be on Virgin Atlantic. 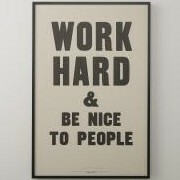 *Now* I understand. This could be because they're brand new accounts, and they don't allow the very first transaction to be a points transfer - I don't know. I thought Virgin Atlantic was still owned by Richard Branson and he sold off Virgin America to Alaska Airlines? I tend to get my information from FlyerTalk and travel blogs first, but am also much more inclined to post and help folks out on this board.